Manna Mission was founded by Word of God church, on September 2010. In Kohtla-Jarve, an average of 350 to 450 people visit the mission Monday to Friday. 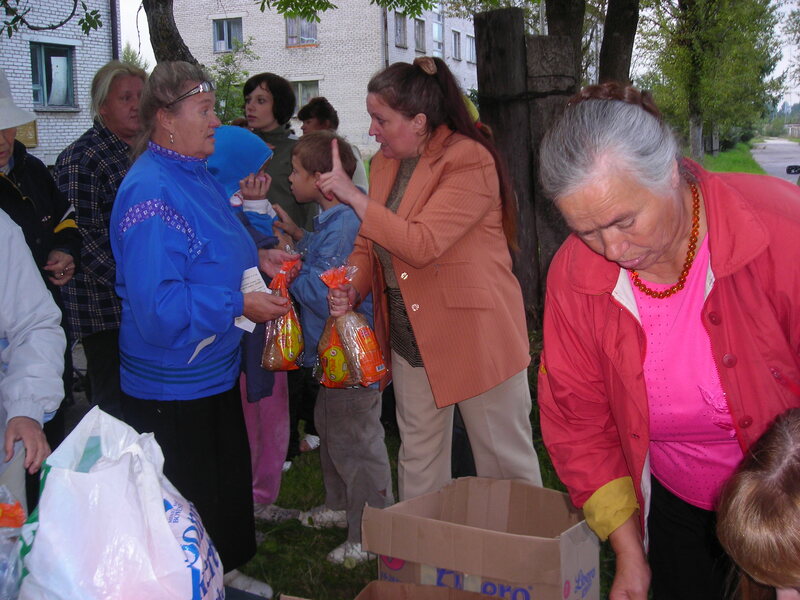 Mission distribute food bags, clothes, providing simple medical care. Vision of our mission is to bring the gospel message and help the person to go through a personal encounter with Jesus Christ. For this years, Mission Manna support churches in Estonian towns: Sillamae, Vivicona, Idla and Tartu. To implement our vision Mission Manna co-operates with 4 rehabilitation centers in Estonia. Mission Manna regularly direct people for rehabilitation programs. For this years, we sent to rehabcenters to get help from alcohol and drug addiction more than 120 man and woman. Mission Manna cooperates with similar organizations in Finland, Sweden and Norway. Mission Manna does not receive any subsidies from the state, all costs are covered by voluntary donations. Our staff in mission Manna — is free workers. We have 10 brothers and sister, who daily work in Manna, most of them have addiction in past. They are receive fredom drom drugs and alcohol, become a christian, and now help for others! Help each person who was on the edge of his life. We do: Soup kitchens,sending people to rehabilitation centers, the distribution of humanitarian aid, Bible courses. If you want support us, please contact for receive more info!